A parking brake is supposed to keep a car stationary, right? Automotive recalls are a regular occurrence, but when an automaker issues a recall for almost 228,000 of its cars, there’s good reason to take notice. According to Automotive News, Mazda is recalling a total of 227,814 Mazda3 and Mazda6 models in the US because of a parking brake problem. Specifically, Mazda is claiming the parking brake may not fully release or, even worse, fail to hold the vehicles, increasing the risk of a crash. The issue itself stems from the possibility that water could get inside the brake caliper, causing the parking brakes "to lose holding force while parked or drag while driving," as stated in the recall report. The affected model years include 2014-2016 Mazda3s and 2014-2015 Mazda6s. As of now, no injuries have been reported. 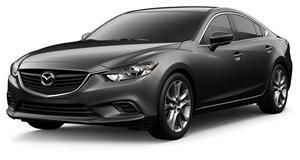 Mazda wasn’t even aware of the problem until 2015 when a Mazda6 broke down in Canada (another 80,000 vehicles are being recalled there too) due to a brake drag issue. The next year, a German Mazda6 owner was in a crash because the vehicle rolled backwards even though the parking brake was in place. In late 2016, a US Mazda6 owner also reported a similar incident. 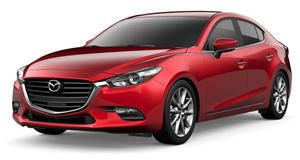 Beginning in late August, Mazda will begin notifying affected owners and dealerships will check the rear brakes and if the shafts are corroded, the calipers will be replaced. Even if they aren’t corroded, a boot that keeps water out will be replaced.